NEW DELHI — The Pentagon is preparing military options for President Donald Trump to respond if the Syrian government carries through with its threat to use chemical weapons against Idlib, Chairman of the Joint Chiefs Marine Corps Gen. Joseph Dunford said Saturday. U.S. planning for a counterstrike is one of several areas of friction that have escalated in recent days between U.S. interests and Iranian or Russian-backed interests in the war-torn country. In the south, the U.S. dispatched Marines to An Tanf garrison as a deterrent to pro-Syrian regime Russian and Iranian-backed forces that have tested the U.S.-protected training base. 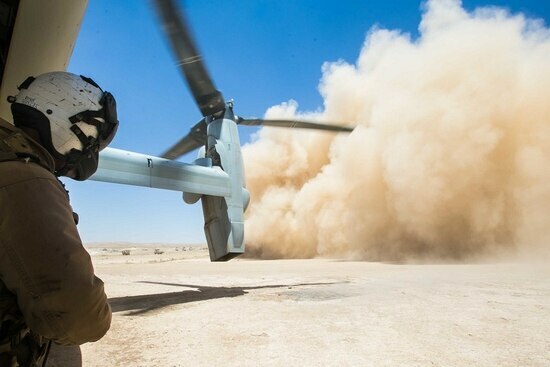 “There’s a significant amount of reinforcement capability, both the forces that went in there for exercises as well as air support, should our forces at An Tanf need it,” Dunford said. 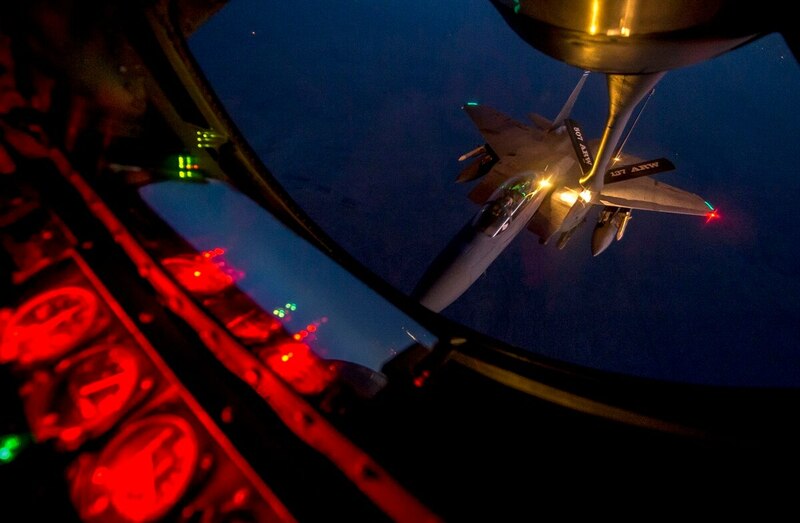 An Tanf sees almost daily incursions in and around its airspace, Dunford said, but those so far have been able to be handled through the military deconfliction line with Russia. In the last year U.S. airpower has shot down both Iranian drones and a Syrian fighter jet that contested the airspace near An Tanf. "There's aviation incidents all the time in and around that area," Dunford said. On the diplomatic front, the U.S. appeared to expand its mission in Syria this week, after State Department comments that U.S. forces would remain in Syria after the defeat of ISIS. The statements were interpreted to mean that the U.S. would stay in Syria to hedge against expansion of Iranian and Russian influence there. Dunford said it has been the mission of U.S. forces all along to not only defeat ISIS, but to stay in country to assist the State Department through Geneva negotiations on a future government there. "There's been no change," Dunford said. "We have always thought of defeating ISIS as limiting the physical caliphate and ensuring the conditions that they can't come back." Why this showdown is seen as a catastrophe in the making. Twice now, after Assad’s forces used chlorine on civilians in rebel-held villages in Syria, the U.S. has responded by firing back against regime targets. In 2017 two U.S. destroyers fired dozens of cruise missiles against a Syrian airfield; in April 2018 after Syrian government forces attacked a second rebel-held village with chlorine, U.S., French and British ships and aircraft launched scores of missiles and bombs against three Syrian government facilities they assessed were involved in chemical weapons production. Syria has said it is amassing a force in Idlib Province to go after an estimated 20,000 to 30,000 al-Qaida or ISIS-affiliated forces in the area. Dunford said that estimate was in line with U.S. estimates, but said he did not think a large-scale conventional attack would be an effective way to eliminate the groups and instead would lead to a humanitarian crisis.